House Democrats voted Wednesday to condemn the Donald Trump administration’s support for a lawsuit that would entirely repeal Obamacare. The House passed H. Res. 271, which condemns “the Trump administration’s legal campaign to take away Americans’ health care.” The resolution passed 240-186, with one Republican voting “present.” Eight Republicans supported the measure. Rep. Colin Allred (D-TX) sponsored the bill. President Trump reignited the national conversation over the future of health care when his Department of Justice (DOJ) backed a federal judge’s ruling that the entire Affordable Care Act (ACA) violates the Constitution and must be repealed. After many congressional Republicans signaled that they have no interest in a healthcare overhaul, Trump said that they will vote on an Obamacare replace after the 2020 election. During a National Republican Congressional Committee (NRCC) fundraiser Tuesday night, Trump said that Republicans will continue to lose elections if they run away from health care. In 2009, prior to Obamacare, America had the world’s best healthcare system at much lower cost. Despite this, Socialist Democrats, as part of their quest for government-run, single-payer healthcare in America, foisted massive wealth-redistribution and government intervention into America’s healthcare market with ObamaCare. H.Res. 271 is an attack on the Trump Administration’s efforts to move past ObamaCare’s unconstitutional structure and improve health care while lowering costs. 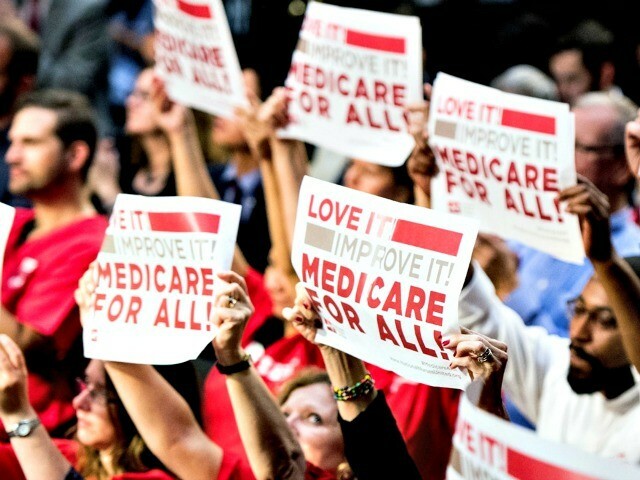 Sen. Mike Braun told Breitbart News in an interview last week that Republicans need to “force the conversation” of healthcare reform onto the industry’s back, contending that if the industry does not change, Medicare for All will win.